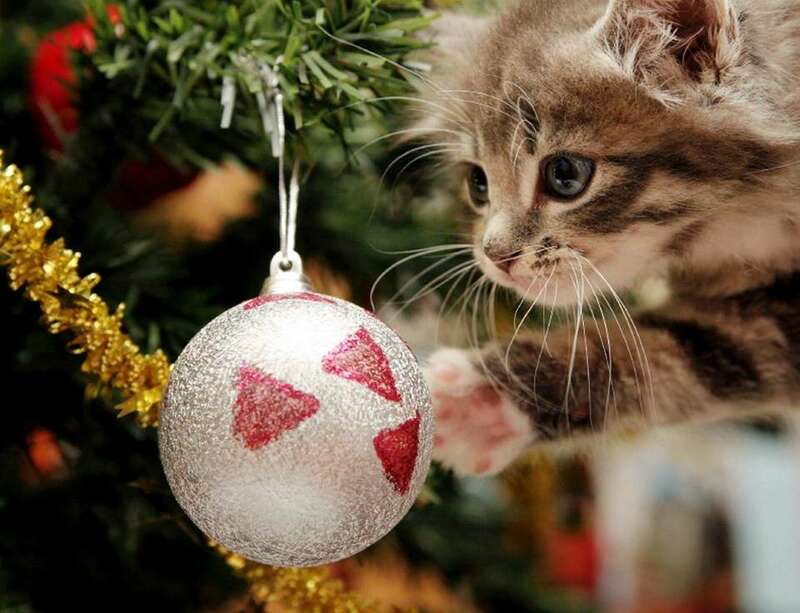 Has your kitten been naughty? Has your dog been nice? Let Santa be the judge when you take your pet to have a photo taken with Old St. Nick himself. Get into the spirit with your furry friends this holiday season and take your pets to one, or all, of these festive Long Island events. Nov. 20, Nov. 27, Dec. 4, Dec. 11 and Dec.18 at the Broadway Commons in Hicksville from 7 to 9 p.m., you can take your pets to get pictures with Santa. Domestic pets only, call for photo pricing; broadwaymall.com. On Sunday, Nov. 18 and Nov. 25 from 7 to 9 p.m., Walt Whitman Shops in Huntington Station is hosting a holiday pet photo night. Prices may vary; for more information check the website for times and prices. simon.com. On Sunday, Nov. 11, Nov. 18, Nov. 25, Dec. 2 and Dec. 9 from 7 to 9 p.m., bring your pets to pose with Santa at Roosevelt Field mall (630 Old Country Rd., Garden City). Check website for specific times and prices. simon.com. 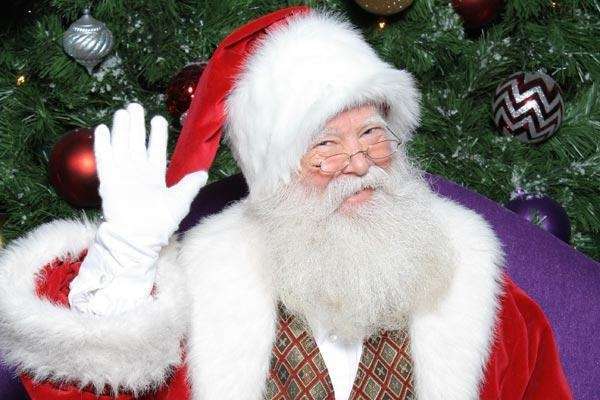 On Sunday, Nov. 25, Dec. 2, Dec. 9 and Dec. 16 bring your pet for a photo with Santa from 7 to 8:30 p.m. in the center court of the Smith Haven Mall (313 Smith Haven Mall, Lake Grove). Hours vary depending on the date; for more information check the website for times and prices. simon.com. 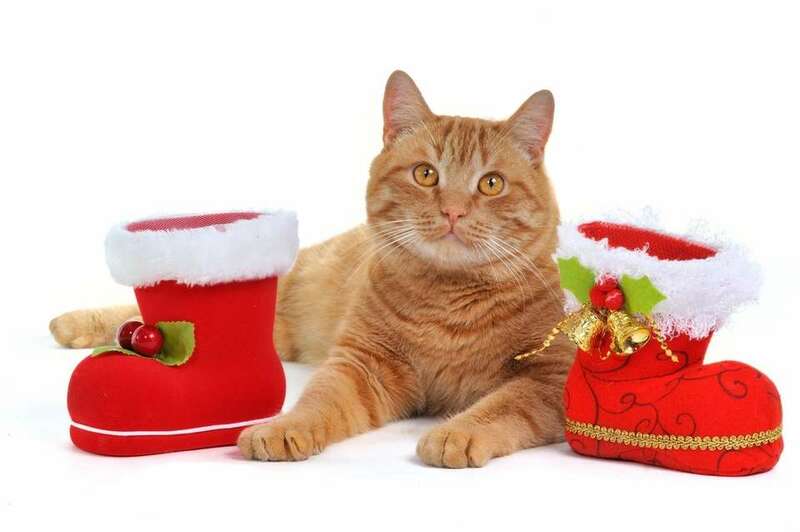 Bring your pets, dressed in their best festive attire, on Sunday, Dec. 9 from 4 to 6 p.m. and Tuesday, Dec. 18 from 6:30 to 8:30 p.m. at Westfield Sunrise in Massapequa. Santa is located in the Macy's Court. For more information visit westfield.com. Select PetSmart retail locations invite shoppers to pop into stores with the family's pet to meet Santa for a free photo op on Dec. 8, Dec. 9, Dec. 15 and Dec. 16 from 12 p.m. to 4 p.m. For more information visit petsmart.com. 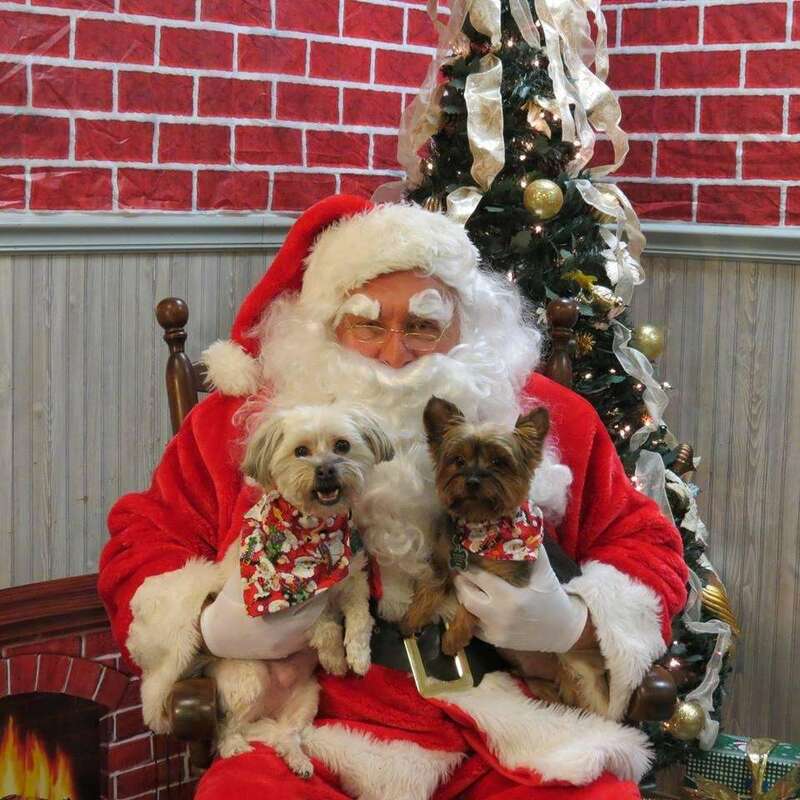 Take your kids and/or pets to Healthy Pet Grooming (563 Muncey Rd., West Islip) from 11-4 p.m. on Sunday, Nov. 25 and Dec. 2 for pictures with Santa. No appointment is necessary and all pets must be leashed or in a carrier. Price: $10 per photos; all proceeds benefit Lisa's k9 Rescue. For more information, call 631-539-7988. 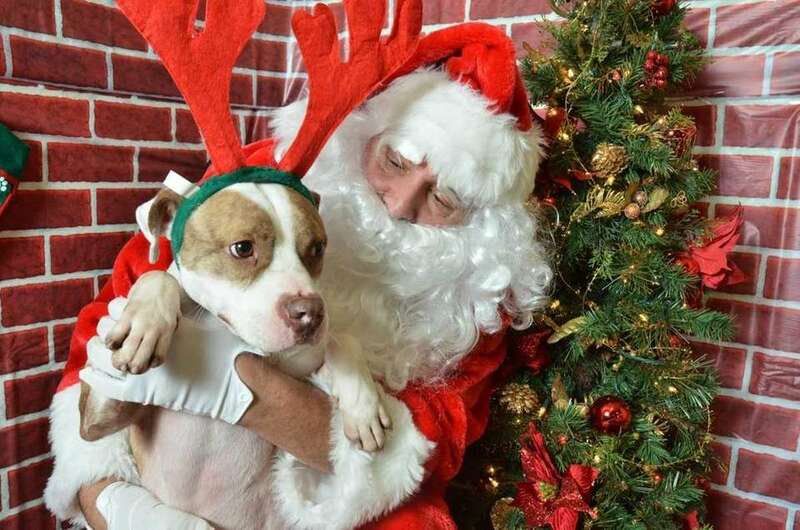 You can pose with your pet or let it be the center of attention when you go to Petco for photos with Santa. This event is held on Saturday, Dec. 8, Dec. 15 and Dec. 16 at local Petco or Unleashed by Petco stores from 1 p.m. to 4 p.m. Donations of $9.95 accepted, 100 percent of the proceeds benefit lifesaving animal welfare organizations in local communities through the Petco Foundation. Check local stores for additional dates and times.petco.com. Gifts for pets and pet loversHe’s your light and your life — this holiday season, get something your pet (and you!) can enjoy together. 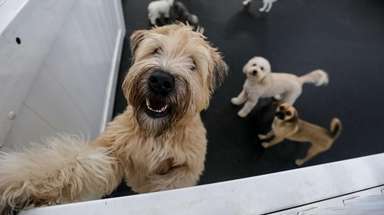 More than 50 furry friends available for adoption nowThinking about adopting a pet? These Long Island shelter dogs are looking for forever homes.